The Bible tells us the authors wrote as the Holy Spirit directed (2 Peter 1:20-21). People did not write their own ideas. They wrote messages they received from God through the Holy Spirit. Accounts about the life of Jesus were written by those that had followed Him. Before Jesus returned to heaven, He promised the Holy Spirit would remind people of all that He had said, and teach them all things—the truth. (John 14:26} All the 66 different books of the Bible were collected and organized by believers into what we call the Bible. It does not have mistakes or contradictions. Written future events, (Prophecies) have always come true, even though some prophecies were written hundreds of years earlier. There are over 600 prophecies that have come true and no prophecies that have been proven false. The truth it contains has changed countless lives of many people. Many times miraculously. It does not contradict with history, archaeology or true science. It has survived through thousands of years, even with great opposition. No other religious book or any other book for that matter can claim all these things. Because God loves us, and wants us to know that He loves us. The Bible is like a love letter to people from God. So we can come to know God and have a personal relationship with Him. We cannot love something we know nothing about. That is why God tells us about Himself in the Bible. So we could know how to please God, and do what is right. The Bible is like a map that helps us and guides us through life. The Bible tells us the history and future of man. God wanted to tell us where we came from and to where we are going. The Bible is like a sign pointing us in the right direction, towards Jesus. It tells us we are to turn from our wrong ways (sin) and follow Christ. The Bible was given so we can learn about how and why He died for our sins on the cross. And we can have eternal life through Him. Yes, the Bible is true! In fact the Bible calls itself the ”word of truth” (2 Timothy 2:15) The Bible is a book that expresses the thoughts of God, and since God can’t lie (Titus 1:2, Hebrews 6:18), the Bible is true. Learning the message God has for us begins with reading the Bible. A lot of people never get to that point. Many simply skim through the text. Others read books about the Bible or devotional material which are broadly based on it, but rarely read the Bible itself. Christian books and magazines added to your Bible reading are fine, but there is no substitute for reading the Scriptures. Some complain it’s hard to read and understand. 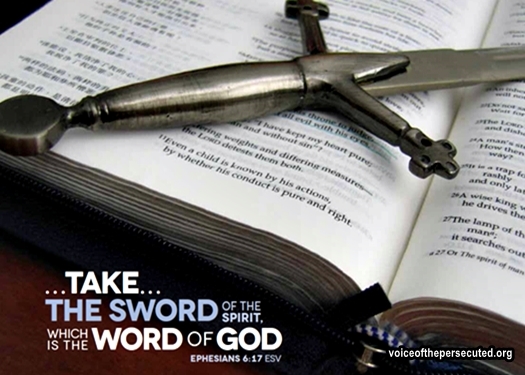 God has given us the Holy Spirit to help us read, absorb, comprehend, and live by the Bible. But first we must commit to it. Pray before you study the Bible. Pray while you are studying the Bible. Pray after you have studied the Bible. We have added a few links for those who are searching the for ‘Word of God’. And for those who would like to develop a deeper understanding of His word and what it means for their lives. Whether you're just getting started, or have been studying the Scriptures for many years, making it a part of your daily life will bless you greatly and help you grow in faith and understanding. So what are you waiting for? The Lord is waiting at the door! - featuring topical, Greek and Hebrew study tools, plus concordances, commentaries, dictionaries, sermons and devotionals. - Bible study software with Greek and Hebrew word tools. - A fast and effective way to study the Bible. Sophisticated features that are simple to use. More capabilities than you would expect for free! 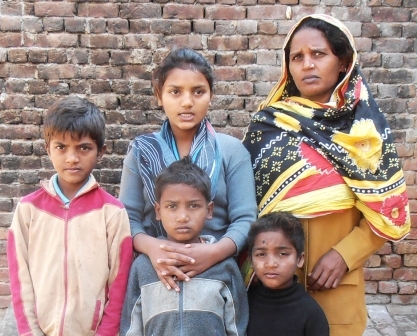 VOICE OF THE PERSECUTED is expanding as a Mission Ministry for the persecuted and their forgotten families. We are designing a new mission project to bring awareness of one of the worst humanitarian crises on the planet, Christian persecution. We have found that 90% of all Christians we speak with know nothing of the staggering modern-day persecution happening throughout the world, today! Unfortunately, the western Main Stream Media rarely reports these stories, or barely covers it. We are doing research for this mission and need pastors that we can interview to make the most of this project. This is an important process for our mission and your help is greatly needed. 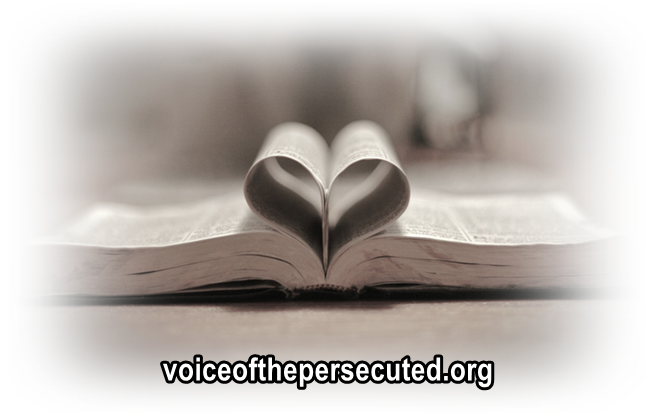 If you are a pastor that can spare a few minutes to answer our questions, please contact us at: voice4thepersecuted@gmail.com with Mission Project in the subject line. 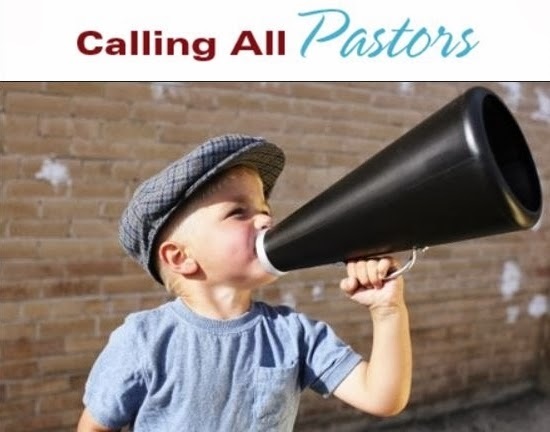 You do not need to be a pastor to help! Print out this page, or email your pastor and ask them to take part in this much needed mission. Follow up and let them know how serious the plight of our persecuted brothers and sister are to you! Let us know if you are able to help. Reblog, and share with all your friends and family! Thank you in advance and for being a VOICE! We CAN make a difference. PETITION | Calling for the Immediate Release of Alimujiang Yimiti(ICC)- Pastor Alim was arrested for leading a house church in China. Almost 18 years ago, a Chinese citizen living in the far northwest of the country decided to leave Islam and give his life to Christ. Alimujiang Yimiti, or Alim for short, quickly found himself in an unusual situation. As a Chinese citizen, he is allowed by law to attend only the official government sanctioned “Three-Self Church,” of which there is only one in his area. But Alim is also a member of an ethnic minority group called the Uyghurs (pronounced wee-gurs). The Uyghurs are almost completely Muslim, and converts to Christianity are not allowed to attend the government-sanctioned church. So Alim, like any other Uyghur convert to Christianity, found himself unable to attend church without breaking the law. READ MORE Please sign this petition requesting his release HERE. China is #37 on the World Watch List. Please pray with us. Pray for continued REVIVAL! Father, we ask that Your church would now be strengthened in China. As there has been spectacular growth over the past two decades, may there now be a strengthening and depth brought to your church. Amen! It has been 9 months since Saeed kissed the little foreheads of our children as he said his goodbyes early in the morning of June 22, 2012. Nine months since Daddy sung to them and tucked them into bed, and 9 months since I embraced my husband as we said our goodbyes, thinking at the time we would be separated only a few weeks, as he returned to Iran to continue work on building an orphanage. Maybe if I knew what was to unfold, I would have held him a little longer, talked a little longer? It has been 5 months, since the frantic phone call that woke me up in the middle of the night, telling me of the horrific way my husband was taken—5 revolutionary guards, raiding the house and taking him, not knowing where he was or what had happened to him—5 long months. Maybe, that is why still to this day, I suddenly wake up frantic in the middle of the night; I turnover only to find Saeed’s empty spot, only to find that the nightmare is not over yet, only to discover that this nightmare will not be over any time soon. It has been 1 month, to the day, since Saeed was given his 8-year sentence because of his Christian faith. 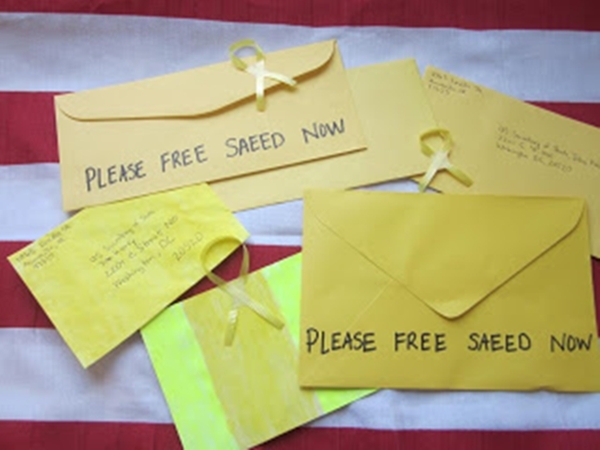 I know deep in my heart that unless we speak out and fight for him, Saeed might not survive the 8 years in that horrific prison, especially because he continues to face continued abuse and death threats. This nightmare exists because Saeed refuses to deny Christ. He is standing up for what he believes. Are we going to stand up with him? Are we going to be a voice for him when the Iranian government is doing all it can to silence him? How many more nights am I to hold my weeping children as they ask me to tell them stories of how Daddy used to hold them when they were born; how he used to play with them, kiss them, and hold them each night before he tucked them into bed? How many more times must I hold back my tears as I sing the worship songs he used to sing to them, as they beg me to sing like Daddy did because they are trying desperately to hold on to the memories of their daddy. Over the last month, I have pondered over and over how I will ever explain to my children that Daddy has been given 8 years in a horrific prison and we don’t even know if he will survive . . . one month; 31 days; 744 hours; 44,640 minutes; 2,678,400 seconds. 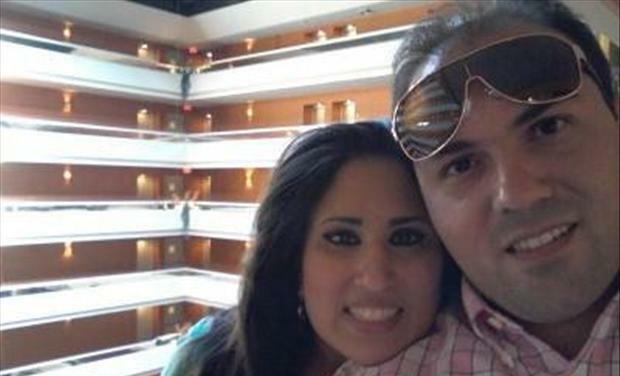 *Naghmeh Abedini is the wife of imprisoned American Pastor Saeed Abedini, a U.S. citizen. She resides with their two young children in Idaho. The American Center for Law and Justice (ACLJ), which represents Naghmeh and the children, is at the forefront of a global effort to secure Pastor Saeed’s freedom. You can join hundreds of thousands of others in signing the petition to #SaveSaeed at SaveSaeed.org. 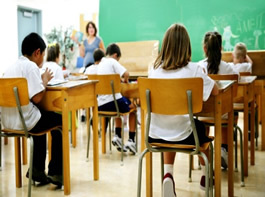 Here is the petition that needs 300,000 signatures by Feb. 20, 2013. There are approximately 100,000 more signatures needed. Any person from any nation can sign this! Please click here and add yours today! "Not a day goes by without tombs being vandalised," says Dalmasso Bruno, caretaker of the Italian cemetery in the Libyan capital where Christians fear rising Muslim extremism. "Human bones have been taken out of their tomb and scattered across the cemetery" in central Tripoli, he said. "The Libyan authorities came and took pictures. They promised to take measures but nothing has been done." Dear Father God, we pray that You will strengthen pastor Bernard and his wife during this chall...enging time. May they take refuge under Your wings and may Your Holy Spirit be their comfort. We pray that even in the midst of this storm, they will be able to experience the fullness of Your joy in their hearts. Protect them and grant them Your divine wisdom and discernment. In Jesus' Name, Amen. "My son, Issac Samson, he is kidnapped since 29-02-2012 at 8:15am, He was working at GOOD SAMARITAN HOSPITAL, Orangi Town, Karachi, Pakistan (South Korean-Run hospital). And yet there is no news about him. Please Pray for him!" Pray for our fellow Eggon Christians in Nasarawa. Yesterday Fulani militants numbering about 3000 attacked Eggon Christians at Atmala, Burumburum, Bakin Kogi, Takpa and Akuya communities of Nasarawa Eggon LGA and B.D.A community in Lafia LGA. Recently target killing has been growing increasingly in Karachi in which two guiltless Christians lost their lives, last month. They were crossing the road in the middle of a protest which was going on against the killing of one of their campaigners by an Islamic Fundamental Group. The campaigner of this political party became a victim of target killing along with his 3 security guards. Thus, we can say that even the political leaders are not safe in our City which been a threat for its citizens because of its current situations. 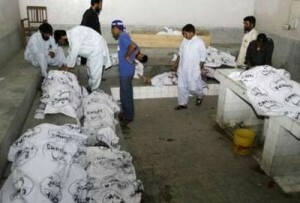 Last year, more than 2000 people were killed in Karachi due to target killing. (Gill, 2013) SOURCE Please Pray for Pakistan! Christian Man Cries for Justice After Being Fired For His Faith In Christ! 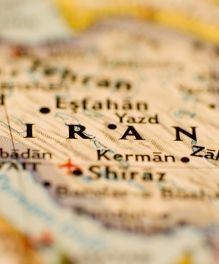 Iraq, #4 on the World Watch List. Watch the video to learn more on how you can be praying for this country. Pray for safety for the Open Doors team working in tense areas. Pray that the process will go forward peacefully. Pray that God gives the new president wisdom. 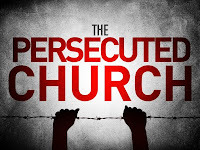 WASHINGTON (BP) - Government persecution of Christians in China increased in 2012 for the seventh consecutive year, ChinaAid reported Feb. 4, with the government especially moving to eradicate house churches. Data collected by ChinaAid in 2012 showed a 125 percent increase in sentencings and a 41.9 percent increase in incidences of persecution over 2011, according to the religious liberty group's 2012 annual report. Specifically, a total of 132 cases of persecution across China targeted 4,919 individuals, including 442 clergy; the detaining of 1,441, including 236 clergy; and the sentencing of nine people. In 2011, ChinaAid reported 93 cases of persecution, involving 4,322 individuals, 337 of them clergy; the detaining of 1,289 individuals, including 267 church leaders; and the sentencing of four individuals. "Compared with the statistics in ChinaAid's past annual reports, this trend of worsening persecution has persisted for the past seven years," the report said, "with an average increase of 24.5 percent in the total of all six categories of persecution statistics tracked by ChinaAid." VOM workers say Christians in northern Nigeria are facing unprecedented trials and fierce persecution. It was therefore a special privilege for VOM workers to distribute the gift of 37 bicycles, 15 motorcycles and 50 megaphones to pastors and Christians workers in the north recently. These simple tools will help them evangelize and preach the gospel in northern Nigeria. At a distribution in Gombe state, one of the hardest hit areas in the north, at least 2,500 Christians gathered for a worship service. Widows, orphans, pastors and entire families from all over Gombe came together to hear a pastor preach about loving their neighbors. The pastor reminded worshipers that they must not hate their attackers and that martyrs like Stephen forgave his attackers. In every Egyptian province there is a Salafist association which handles the kidnapping of Christian girls. They have homes everywhere where they keep them. If we inform the police where the kidnapped girl is being kept, they inform the Salafists, who then move her away to another home and then we lose all trace of her. Turkey: An elderly Armenian woman has been stabbed to death in her home in Istanbul; a cross had been carved onto her body. The murder of 85-year-old Marissa Kucuk on 28 December is just one of five attacks on elderly Armenian women in the Samatya neighbourhood over the last two months. Samatya is home to around 8,000 Armenians, who are predominantly Christian. Khatchig Mouradian, an Armenian activist and academic, said, “The attacks highlight the unbearable heaviness of being Armenian in Turkey.” More than 1.5m Armenian and Assyrian Christians were killed during the Armenian genocide of 1894 to 1923. Algeria: A Christian man who was sentenced to a year in prison for allegedly pressuring a Muslim to leave Islam has appealed against the conviction. Mohamed Ibaouene (36), himself a convert from Islam, was unknowingly convicted of the offence in his absence on 4 July 2012; he did not find out until 11 December. Mohamed had been accused by a Muslim colleague; he said that it was actually the Muslim who tried to pressure him to return to Islam and that he made the accusation only after Mohamed refused to renounce Christ. He was sentenced to a year in prison and fined 50,000 dinars (US$635). An appeal against the ruling was heard on 23 January; the decision is expected this week. 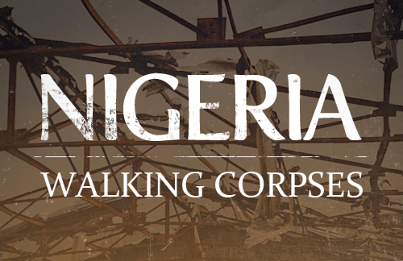 CLICK HERE TO VISIT OUR WEBSITE for all the latest updates, missions and how you can help! Help by sharing their stories. Knowledge is power! Voice of the Persecuted™. Powered by Blogger.